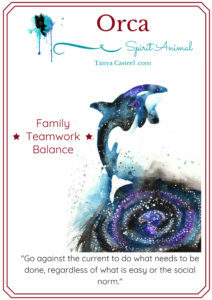 Orca symbolizes family, teamwork, and balance. Orca is an excellent mentor and teammate because of its willingness to nurture, trust, and uplift the group. 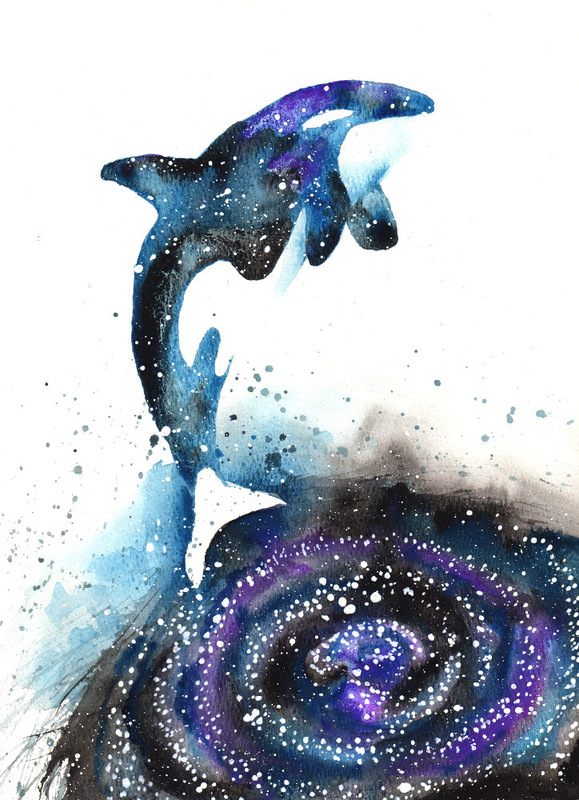 Orca encourages you to develop your abilities to communicate with your voice to bring healing to others. After times of deep inner reflection, try expressing your wisdom in a creative, humble, and compassionate way. Orca reminds you that providing for yourself and your family does not have to be hard. Work can and should be a fun and enjoyable process. Blend together your intelligence, keen awareness, and sense of play to create a balanced bountiful life. Use the powers of Orca’s black and white markings to bring forth balance in a world of opposites. I want to hear about your Orca experiences. What stories or dreams have you had? Please share and join in the conversation below!